When I was in high school, a group of my classmates called me “Gay Rob” to distinguish from the other guy in my class who shared my first and last name, even though I’m straight. Being teased in this way was a big part of the reason I spent years trying to shelter myself from anything I thought was gay, so when I first heard of Scissor Sisters, I ignored the band based on their name. The irony was that I already loved several gay musicians; I just chose to ignore their sexuality. The seeds of homophobia were planted deep within me, though that wasn’t obvious to me at the time. It is now, and I am sorry for any harm my homophobia caused. And what an idiot I was, because I was missing out on so much amazing music, like the Scissor Sisters. This past week Jake Shears, front of the Scissor Sisters, released his first solo endeavor, the eponymous album Jake Shears. When I heard about the release, it was the first time I had heard the name Scissor Sisters in years, so I spent the past week bingeing on their catalog like the very hungry caterpillar tearing through the Saturday smorgasbord. So delicious. And then I turned my ears to Shears’ debut. 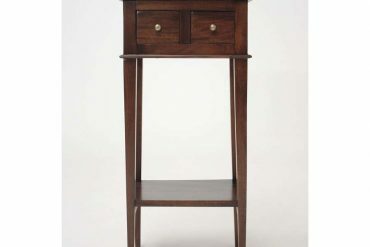 There’s an awareness of pop music history in everything Shears does – a track like “Good Friends,” with its rock/country piano in dialogue with strings, feels like it could be a David Bowie or Elton John track, but with a Southern feel that is a lagniappe to Shears’ main course, perhaps because he’s recently moved to New Orleans. On any given song, it feels like chef Shears opens the cookbook of pop instrumentation and vocalization to create his own amazing dish, like the groovy “Creep City,” for which he employs the full range of his vocals, from sky-high falsetto to 80s-inspired baritone. The middle of that song has a ripping saxophone solo that will make you want to devour every note. You’ll find synth here, you’ll find nightclub grooves, blues-inspired guitar riffs, electronic drums, a heavenly orchestration that always feels tasteful. Shears’ lyrics on this album embody a duality that revels in being gorgeously dirty, in being bouncy and happy over depression, in “making my blue days better with bad wine,” as he proclaims in “Good Friends,” a quality he’s kept from his Scissor Sister days. Perhaps the song that embodies this the most is “Big Bushy Mustache,” where he brags, “They say I’ve got a dirty face / but I’m sharper than a razor blade … Most boys keep it clean / I’m the man they wanna be / if only they’d give it a try.” If anybody knows how to revel in who they are, to have pride in their sexuality and beauty, it’s Jake Shears. But in the next moment you’ll find yourself feeling enjoying the fun-loving sound of “Sad Song Backwards” as Shears admits he’s trying to “taking double fistfuls of Prozac” and “needs a dose of shock therapy” to get over the pain of a breakup, likely the breakup of his eleven-year relationship with Chris Moukarbel. As thrilling as the album is, it is also amazing to listen to Shears trying to overcome his past with varying degrees of success and to transform into something new. The album ends with “Mississippi Delta (I’m Your Man),” an homage to Shears’ decision to pack up everything and move to New Orleans. It’s a refreshing take on moving to the South that I appreciated, as I was born and raised in New Orleans, went to college in Jackson, Mississippi, and tire of people rolling their eyes when I tell them how much I miss that area of the world now that I’ve moved away. And here comes Jake Shears, telling the Mississippi Delta “I’m Your Man,” despite his struggles in LA and New York, despite his heartbreak, despite any fear he might have had of the South. 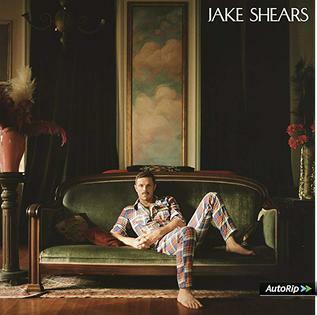 Jake Shearsis an incredible album for its honesty, its glam, and for Jake Shears’ brash persona painted all over every song. 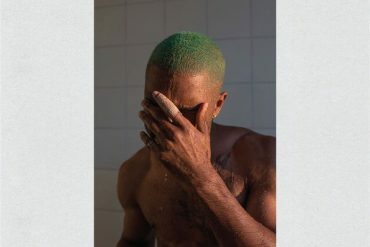 It’s an album that I wish I had with me when I graduated college, suffered a breakup, moved away from the cities I loved, and was just starting to come to terms with a new me, one that let go of the poisonous belief I held at the time that I needed to shelter myself.